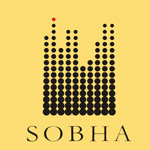 Bangalore based realty company Sobha Developers has seen growth in its first quarter operational numbers as compared to last year. For the quarter ended June 30, it managed to sell 0.84 million sq.ft of new space, which is valued at $87million (Rs 4,79 crore), with an average realisation rate of Rs 5,737 per square feet. Though year-on-year there is a growth in sales realisation of 26 percent, sequentially there is a decline. In Q4FY12, the realtor had sold 0.863 million square feet. In the same period last year, Sobha had managed to sell 0.67 million square feet, for an average price realisation of Rs 4,547 per square feet. The company has also given a new sales guidance for the year of $363 million (Rs 2,000 crore) for this fiscal for the period last year the developer managed sales of $309 million (Rs 1,700 crore). In the last quarter the developer managed to launch a new villa project called Sobha West Hill in Coimbatore with a total saleable area of 0.14 million square feet. At present it is accruing money from projects across Bangalore, NCR, Chennai, Pune, Thrissur, Coimbatore and Mysore. Sales from its Gurgaon project witnessed a strong sequential increase of 24 per cent.